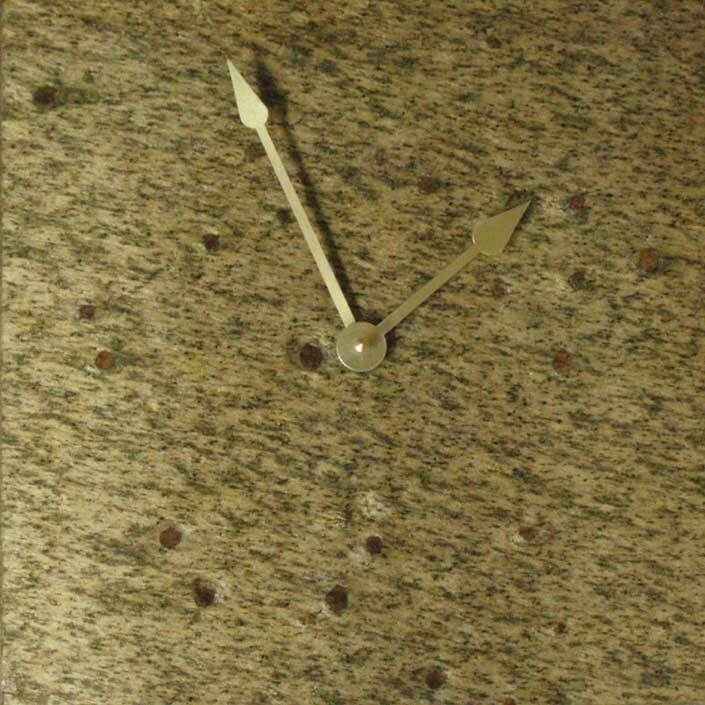 The decorative beauty of our wall clocks come from the union of a rustic natural look, with the modern hard cut perfection of natural stone. 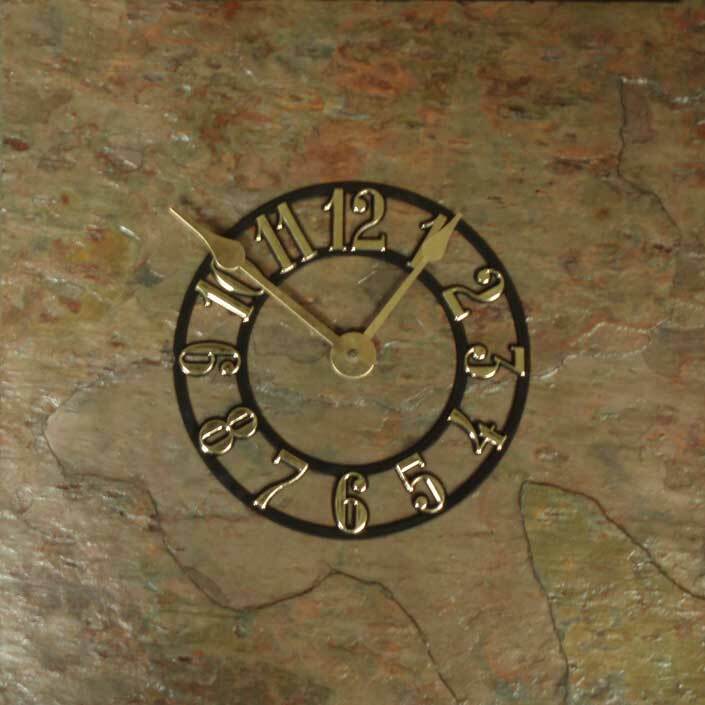 With a wide variety of colors and options available, it should be easy to create a wall clock that will fit your setting. 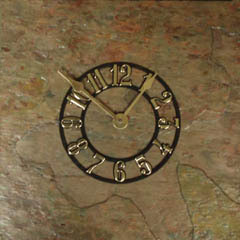 These wall clocks have a wild array of colors swirling in a vortex, subdued only slightly by the dark nature of its hue. An erratic stone, the colors within its surface recombine in chaotic patterns that make every lilac autumn clock a unique and beautiful accent item.. 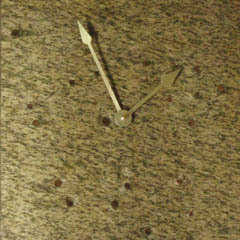 The rustic slated beauty of this stone has been honed down into a smooth and polished surface. Ridges and clefts that once jutted from its surface are now revealed as lines and formations in its face. An elegant collection of rustic tones, available in your setting.